This "true bug" lies camouflaged in flowers where it captures prey with large, grasping forelegs. Its mouth parts are modified, forming a beak which pierces its prey. 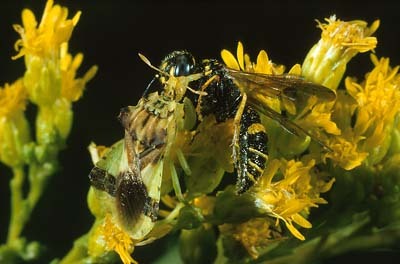 After ingesting the body fluids, the Ambush Bug discards the empty body.